In the 1950s the United States was ranked seventh in mortality rate of the 21 industrialized nations. Since that time we have declared war on cancer, diabetes and heart disease. We spend more money on health care than any other country in the world, twice as much as England per capita. With all of this time, money and resources spent on health care one would imagine that our ranking would have improved dramatically. However, the truth is that we have dropped to 18th place. It would appear that our health care system is failing us. An article appearing in the Journal of the American Medical Association, April 15, 1999 states that properly prescribed medications may be the fifth leading cause of death in the United States, and that reactions to prescribed drugs are far more common than previously thought. The article also says that this estimate is conservative in that they only focused on correctly prescribed drugs. Their analysis did not consider other sources of prescription drug problems, such as patient compliance errors, intentional overdoses, narcotics abuse and accidental poisonings. The article goes on to explain that the research also failed to consider the large number of individuals that may have had adverse drug reactions that were not hospitalized, "The truth is we missed a lot of people including those who died at home." It's not hard to imagine that if you were to factor in all the deaths associated with drug use and abuse, it may be creeping up on cancer and heart disease as the leading cause of death in the United States. The Pharmaceutical Research and Manufacturers of America cautioned patients and their families not to panic, saying that prescription medicines are safe and effective when used properly. If 100,000 deaths a year is considered "safe and effective" then what they are telling you is the truth. Are you willing to gamble with your health or the health of your family members? The failure of health care lies in the treating of symptoms and not the disease process itself. Disease does not exist because of a lack of medication in our blood stream; it is the result of a breakdown in the natural defense mechanisms in the body. I am not suggesting that people should stop taking their prescription medications, however, patients being prescribed a drug should ask if it is absolutely necessary and inform their doctor of any other drugs they may already be taking. It is no secret that we live in an over-medicated society. The secret lies in the harmful and even deadly side effects of these medications. 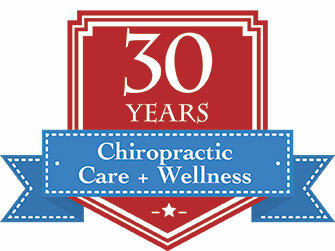 Chiropractic is a safe and effective form of health care that emphasizes prevention of disease through patient education, spinal adjustments, exercise and proper nutrition. Chiropractors use spinal adjustments to restore and maintain proper alignment, which in turn, will allow the body's natural healing ability to prevent disease. Thomas Edison once said, "The doctor of the future will give no medicine but interest his patients in the car of the human frame, in diet and in the cause and prevention of disease." We the Clinic wholeheartedly echo and promote these profound words.